14 days since I returned form Italy and it has certainly given me time to re-adjust and re-enter and re-spond. categorizing and making sense, are my next steps. I decided to scan this drawing first; a study in perspective and figure/ground. A beautiful and classic site in Civita; one of those you call one’s own until you see the postcards of the same view. Yes, it had been discovered by others. But there are great lessons within this view. 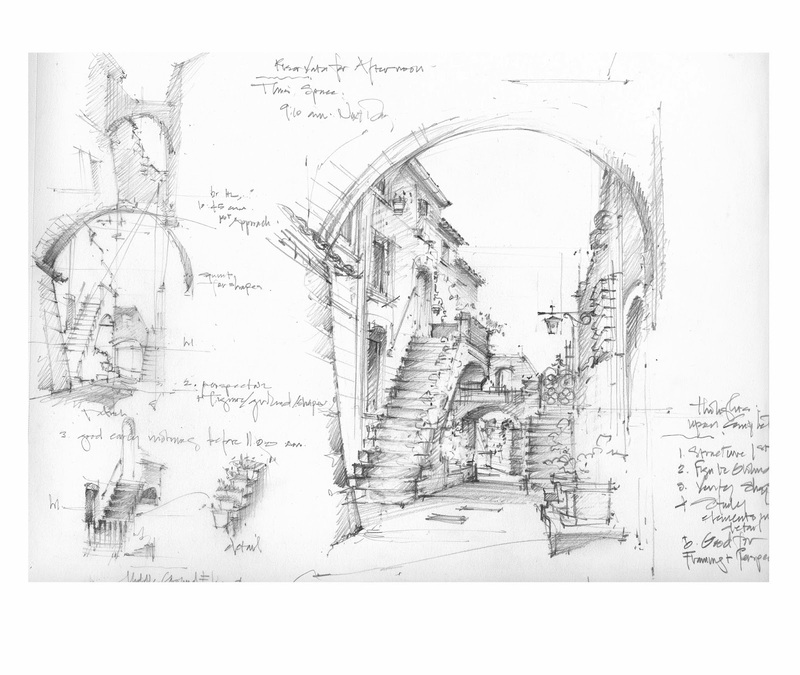 My work in Civita was about ‘working drawings’. discovery of what I brought with me to Italy and what Civita taught me. but thoughtful discoveries; those I hope to share in a drawing book of sorts, centered around Civita. These ‘working drawings’ will generate more works of ‘ta-da’ soon. I am there; and the study of drawing goes on. Beautiful work. Italy is inspiring. Thank you. More like this!